We’ve all heard the statistics about the huge number of Americans who can’t come up with $400 in cash to cover an emergency expense. There’s talk of impending recession. Will tomorrow’s adults be prepared to handle their finances better than recent generations? April is Financial Literacy Month, making it a great time to highlight the great work credit unions do in bringing financial education to their communities all year long—including the next generation of consumers. The Richard Myles Johnson (RMJ) Foundation’s Bite of Reality program is one of the most impactful programs credit unions deliver to teens in their communities. Bite of Reality is a hands-on, app-based simulation that appeals to teens while giving them a taste of real-world financial realities. Teens are given a fictional occupation, salary, spouse and family, student loan debt, credit card debt, and medical insurance payments. The teens then walk around to various table-top stations to “purchase” housing, transportation, food, clothing, household necessities, day care, and other needs. Fortunately, the game also includes a “credit union” to help with their financial needs. This interactive activity teaches teens how to make financial decisions and gives them a better understanding of the challenges of living on a budget. Teens have to deal with a pushy “car salesperson” and a commission-based “realtor,” and weigh their wants versus their needs. There’s even a “Fickle Finger of Fate” that gives the students unexpected “expenses” or “windfalls”—just like in real life. In 2018, some 60 credit unions delivered nearly 200 Bite of Reality events to more than 23,000 students across California and Nevada. 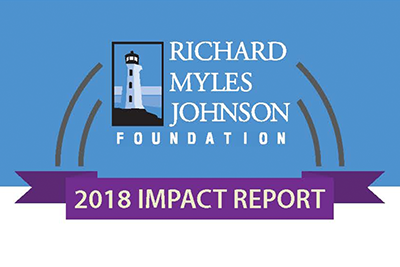 Please visit http://www.rmjfoundation.org/index.php/about-us/2018-impact-report to review the RMJ Foundation’s 2018 Impact Report. This April will see at least 14 Bite of Reality events, reaching an estimated more than 1,000 students. However, at the RMJ Foundation, every month is Financial Literacy Month. So, if your credit union has not yet participated in Bite of Reality, it’s never too late to start. Please contact Tena Lozano at tlozano@rmjfoundation.org or Jenn Lucas at jlucas@rmjfoundation.org to learn how you can bring this program to your community. Find more information about the program at http://www.rmjfoundation.org/index.php/bite-of-reality.